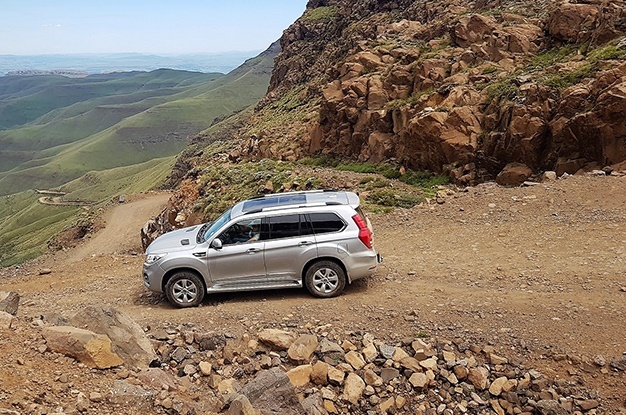 While recently visiting the Drakensberg region of KwaZulu-Natal, Ferdi de Vos not only traversed the Natal Midlands but also took on Sani Pass in the impressive H9, flagship of Chinese brand Haval. We started off the new year on a high. Literally. 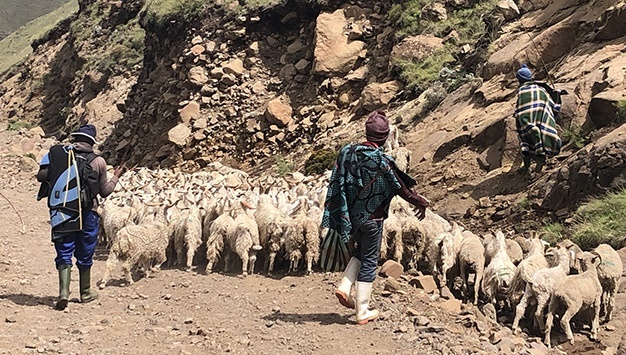 From an altitude of close to 2800 metres above sea level we were overlooking the deep valley and imposing mountain crags framing the twisty dirt road snaking up the steep incline. Yes, we were at the “highest pub in Africa” at the top of Sani Pass. It was a beautiful day, with the green mountainsides gleaming in the brilliant sunshine and streaky clouds chasing over an azure sky. It also made our journey up Sani Pass a pleasant one, as along the route numerous waterfalls cascaded over the mountain cliffs. Life was good. 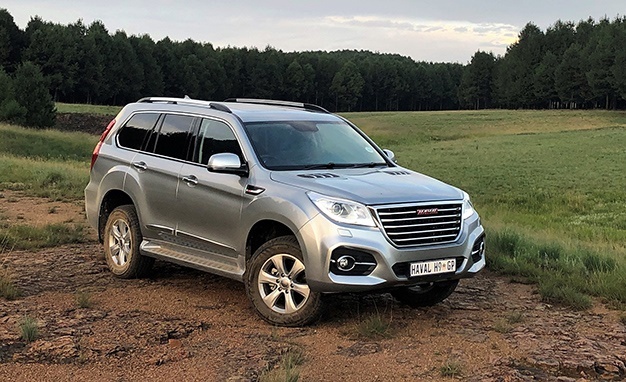 For Haval 2019 also started on a high, as the Chinese manufacturer celebrated over five million accumulated sales worldwide last year and sales growth with its H2 and H6 ranges in South Africa. With the new H9 – its first four-wheel drive model to be introduced locally – it takes on the big players in the medium luxury SUV segment. Size-wise it competes against the Toyota Land Cruiser Prado, Mitsubishi Pajero, Land Rover Discovery, and the likes. 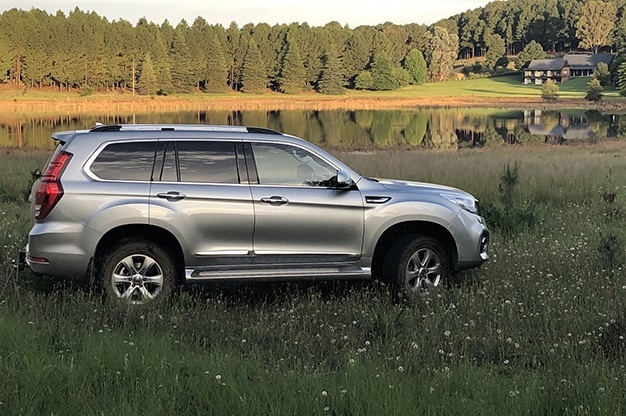 Yet in terms of price it is comparable with bakkie-derived SUVs such as the Fortuner, Everest, MU-X, and Pajero Sport. In terms of design the H9 follows traditional SUV styling. Its lines are pleasant enough, yet surprisingly conservative compared to its H2 and H6 siblings, and if one had no preconceived ideas or conceptions, you would never have thought this petrol-driven, seven-seat SUV is of Chinese origin. However, the real surprise is inside. The detailing in the well-appointed interior is upmarket and luxurious, with soft touch materials on the dashboard and door panels, ten-way electric control buttons (on either side of the seat back), and soft leather for the front seats. It also has a full complement of driver assistance and in-car entertainment systems, as one would expect from a premium SUV, and in Luxury trim (the only derivative available now) it has a higher level of specification than most of its competitors and even the third row of leather seats is electrically foldable. On our drive from Gauteng to Estcourt following the N3 the large seven-seater performed surprisingly well on-road. Powered by a relatively small two-litre petrol engine with turbocharging, one would have expected it to struggle to get up to speed and up inclines, but not so. Yes, there is some initial turbo-lag, but with 180kW of power and maximum torque of 350Nm on tap, it has enough grunt for all types of driving conditions. Coupled to a super-slick ZF eight-speed 4WD auto gearbox the engine was also remarkably quiet at speed, adding to its comfortable and relaxed demeanour. The winding R617 towards Underberg presented another challenge, but on the twisty road it still felt solid, steady, and surefooted, despite displaying some body roll. A dirt road with loose gravel sections led to the private lodge close to Himeville where we stayed, but six on-road and off-road driving modes, including low-range (Auto, 4-Low, Sports, Sand, Snow, and Mud) made it easy to find a suitable setting for optimal traction. Sani Pass is rated as the second highest in South Africa (after the 3,001-metre Ben Macdhui Pass, although some claim Naude’s Nek in the Eastern Cape with a summit at 2,920 metres is also higher) and the rock-strewn dirt road leading to the summit in Lesotho needs to be treated with respect. A slow puncture (probably caused by a sharp rock) was the only mishap on our adventure, but the tyre-pressure monitor system picked it up quickly. There are some other irritations, though. Also, the steering, while quite accurate, felt slightly too light and an auto-disengage function for the electric handbrake will be a welcome addition. Lastly, the small turbo engine became very thirsty when we pushed on; with consumption shooting up to close to 12 l/100 km. After a week of exploring the picturesque Underberg surrounds, quad-biking and canoeing we turned home. The fantastic lodge we stayed at is unfortunately not open to the public, but there are some very good hotels around, including the historic Himeville Arms Hotel and the newly opened Premier Resort Sani Pass. 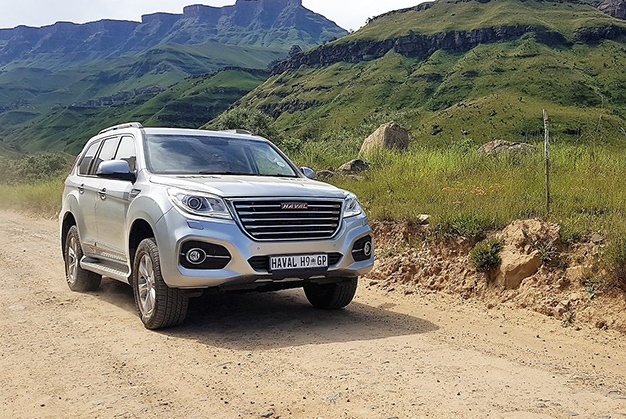 Our trip back to Gauteng was uneventful, and we were again impressed with the solid performance of the H9. In terms of specification and price it overshadows all its competitors in the mid-size SUV class. Luxury, well-appointed interior, large, quiet, safe, and comfortable seven-seat SUV. Good on-road and off-road performance for a bargain price. Oversensitive safety systems triggering hazard lights at a hint of hard braking, no auto-disengage for electric handbrake, small turbo engine can become very thirsty. Shoot the English voice artist.